Who was in charge of the Belfast I.R.A.? Who was in charge of the Belfast I.R.A. from the 1920s to the 1960s? Formally, the I.R.A. designated Belfast as either a Battalion or Brigade from 1922 through to the late 1960s with it’s commander usually listed as O/C Belfast. As a clandestine organisation, the identity of it’s leadership was not usually transparent. Occasional arrests and seizures of documents by the R.U.C., particularly internal I.R.A. correspondence, strongly suggests the roles different individual held within the I.R.A., such as when correspondence addressed to the Belfast Adjutant was found in Billy McAllister’s house in January 1937. Individual memoirs provide much more substance, corroborating some of what is known from court reports and documents. In many cases, though, they tend to roughly pinpoint in time who led the Belfast I.R.A. rather than provide a clear picture of who was in charge, how they came into the post and how they left it. Theoretically the O.C. was elected, where practicable, and many held the role until arrested. As I.R.A. posts were vacated on arrest, someone else typically acted in the role until the previous holder was either released or a formal appointment made in their place. The value in knowing who was in charge, how stable their leadership was and what direction it took the I.R.A. all contributes to a better understanding of how the organisation developed and how it impacted and influenced the course of events. The list below is based on a variety of sources. I’ve highlighted where there are gaps and, obviously, there may well be significant errors of omissions, given the nature of the source material (and some of this is just guess work). As ever any corrections or suggestions can be added in the comments section. Former Quartermaster of the IRA’s 3rd Northern Division, he had replaced Pat Thornbury as O/C Belfast which had by then been re-organised as a Brigade in October 1922. Corvin had supported the Executive against GHQ over the Treaty in 1922. Subsequently interned in April 1923, he was elected leader of the I.R.A. prisoners and was involved in various prison protests. Corvin was involved in the Irish Volunteers prior to 1916. O’Donnell replaced Corvin as O/C while Corvin was interned. When Corvin was released from internment at the end of 1924 O’Donnell appears to have stepped back and Corvin took over again as O/C. When Corvin returned as O/C of the Belfast Brigade it was during the re-organisation that followed after Joe McKelvey’s re-burial in Milltown on 30th October 1924. When the Belfast I.R.A. shot Patrick Woods in November 1925 the R.U.C. arrested one individual for questioning but detained a further fifty men, more than twenty of whom were interned until January 1926 including most of the Battalion staff. This included Hugh Corvin. Barely a week after the arrests the outcome of the Boundary Commission was leaked into the press. Judging by correspondence recovered in his house in February 1926, Johnston seems to have acted as O/C while Corvin was interned. Corvin returned as O/C but only stayed in the position until April 1926 when he resigned citing business reasons (he had set up an accountancy firm). He had been arrested in November 1925 and held until the end of January 1926 along with twenty others following the shooting of an informer. He was to remain a prominent public figure, through involvement in the G.A.A. and as secretary of the Gaelic League in Belfast. He publicly participated in fund-raising for Fianna Fáil in Belfast in the early 1930s and when he stood as an ‘independent republican’ in West Belfast in February 1943 he was largely portrayed by the IRA as a proxy for Fianna Fáil. His later political activity and the coincidence of the Fianna Fáil split suggest it may have been a motive in his resignation. In Belfast I.R.B. Circle with 1916 leader Sean McDermott as early as 1907, Turley mobilised at Easter in 1916, was director of elections for Sinn Féin in Belfast at the 1918 elections and was Head of Intelligence in 3rd Northern Division. He was interned on the prison ship Argenta. He took over from Corvin but, apparently clashing with personalities at GHQ, he was portrayed as being difficult to get on with and unpopular. He remained active as Belfast Adjutant and in other staff posts, although he was a recurring target in clashes between the Belfast IRA and GHQ. The RUC used this tension to conspire against him and he was court-martialled and expelled from the IRA in 1933, then later shot dead in 1936 (his innocence was effectively admitted by the IRA in 1944-45 when it pursued those involved in allegations made against him in 1933). From Albert Street. A former O/C of C Company, 1st Battalion in the 1920-23 campaigns, including the Raglan Street ambush, and a former internee on the Argenta. Took over from Dan Turley who remained as part of his staff. Instigated re-organisation of the Belfast IRA in 1929, including training camps, Irish language classes and recruitment to Na Fianna. Described by Bob Bradshaw as having a ‘heart of gold and head of ivory’. Also active in Sinn Féin at a time when there were internal divisions within the IRA over whether to co-operate with Sinn Féin, Fianna Fáil or a left-wing political project (or if they were to co-operate with anyone at all). In November 1933, Matthews was arrested in possession of IRA documents and received a short sentence. So many other senior Belfast staff were arrested, including Jimmy Steele, Charlie Leddy, George Nash, Tom O’Malley and Jack Gaffney that a temporary staff was formed, including Jack McNally, Jim Johnstone and Sean Carmichael. From the Bone. Another 1920-23 campaign veteran. Appears to have taken over as O/C while Davy Matthews served a short sentence in 1933-34 (this is implied but not explicitly stated in his memoir Morally Good, Politically Bad). While he was in prison Matthews decided to sign an undertaking that he would cease his IRA membership if he was released just before Christmas. So too did another veteran, George Nash. Whether Matthews intended to honour the commitment or not, he was courtmartialled in January 1934 and dismissed from the IRA. 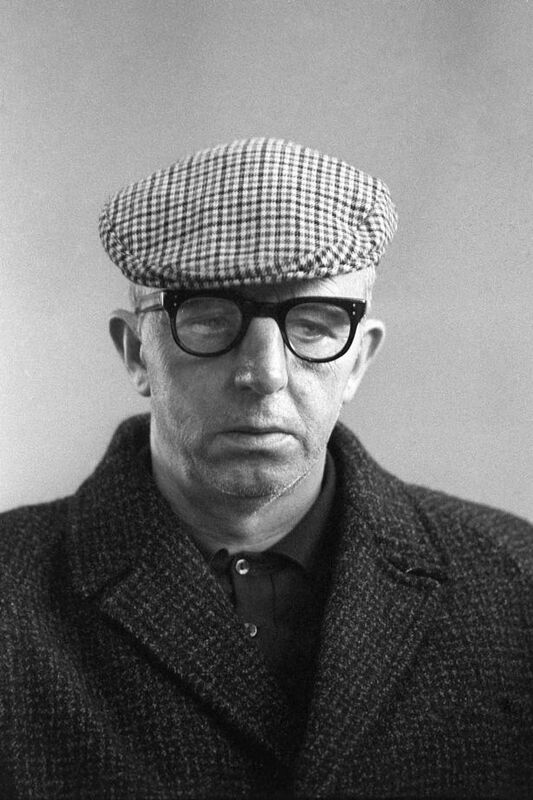 McNally only stayed as O/C for a number of months but remained active on the IRA’s GHQ staff until his arrest at Crown Entry in 1936. He was interned in December 1938 and was to later be active in the Anti-Partition League. From Balkan Street, a Fianna veteran of the 1920s, took over role as O/C Belfast (at the time designated Ulster Area No 1). Despite an order from Army Council not to, he instructed those charged by the northern government over the Campbell College raid to be defended in court. After they were acquitted, the Army Council charged Lavery with disobeying a direct order and was to be court-martialled in Crown Entry on 25th April 1936 (although it was expected, unlike Matthews, he would merely get a slap on the wrists). Crown Entry was raided just as the courtmartial was to take place and all those present were arrested including the IRA’s Adjutant-General, Jim Killeen, GHQ staff and senior members of the northern and Belfast leadership of the IRA including Lavery’s Adjutant, Jimmy Steele, and other staff members like Liam Mulholland and Mick Traynor. Took on role of O/C Belfast after the loss of Lavery and other Belfast staff members at Crown Entry. In October 1937, the R.U.C. raided what appears to have been a battalion staff meeting in Pearse Hall in King Street. McArdle was arrested and sentenced to six months in Crumlin Road for having I.R.A. documents in his possession. While McArdle was in prison for three or four months, Chris McLoughlin may have acted in the role as O/C Belfast (he may have attended at least one I.R.A. convention in that capacity). On his release, McArdle returned as O/C Belfast until he was interned in December 1938. Arrested in Crown Entry, Charlie McGlade was not long out of Crumlin Road when he was sent as an organiser to England as part of the S-Plan campaign. He took over as O/C Belfast from Sean McArdle following McArdle’s internment in December 1938. Apparently influenced by Jim Killeen, McGlade was responsible for developing the Northern Command concept that was put in place in late 1939, with McGlade as Adjutant and Sean McCaughey as O/C. He edited the Belfast edition of War News and remained as O/C Belfast until 1940 (Jimmy Steele was also to be simultaneously Adjutant Northern Command and O/C Belfast). A Fianna and IRA veteran of 1920-23, Steele had been imprisoned since the Crown Entry raid, only being released in May 1940. For some time there had been unease at reports that were coming in to the IRA prisoners in Crumlin Road about disciplinary procedures being applied by the Belfast IRA staff. On his release, Steele was appointed to the IRA’s Northern Command staff. He had a dossier on the activities of the Belfast staff and following an investigation they were courtmartialled and reduced to the ranks. No-one names the staff involved (and Tim Pat Coogan, who recorded the episode, does not remember if he was ever told). It may be that McGlade was O/C but was busy elsewhere and this was his staff who were reduced to the ranks. Either way, Steele took over the role as O/C Belfast until his arrest in December 1940. Bowyer Bell (in The Secret Army) implies Liam Rice was O/C Belfast in May 1941, when he then left for Dublin to assist in the investigation into Stephen Hayes. Rice had been arrested in Crown Entry and also spent time in prison in the south. He was wounded and arrested in Dublin and spent time on the blanket in Portlaoise during the 1940s. It seems likely that Rice took over from Steele as O/C in December 1940. When Rice left for Dublin, Bowyer Bell states that Pearse Kelly took over as O/C Belfast in May. Kelly too left for Dublin in July to take part in the investigations into Chief of Staff Stephen Hayes. Kelly was eventually to become Chief of Staff himself and ended up in the Curragh. Afterwards he went on to a senior role in RTE as Head of News. During 1941 Hugh Matthews, brother of Davy Matthews and another 1920-24 veteran, took over as O/C in Belfast, and was O/C during the Army Conference in Belfast in February 1942 (according to Bowyer Bell in The Secret Army). Ray Quinn (in A Rebel Voice) says he took over from Jimmy Steele but dates it to a later Army Convention in Belfast in February 1943. It is not particularly clear from surviving accounts, but Matthews appears to have been O/C as further disputes arose about disciplinary practices of his Belfast staff members (but not direct criticism of Matthews himself). Prior to 1942, Graham had been O/C of an independent unit, mostly made up of Protestant IRA men. Graham took on the role of Director of Intelligence for the Northern Command and (according to Joe Cahill), was also O/C Belfast. He presumably after Hugh Matthews some time after February 1942 although the timing is unclear. He was arrested along with David Fleming in the Belfast HQ on Crumlin Road on 3rd October 1942, where printing presses and radio broadcasting equipment were also recovered. Graham, a divinity student in the 1930s, on his release he was to become a noted professional golfer. Maguire was O/C Belfast in the autumn of 1942, apparently following Graham’s capture in October. Escaping from Crumlin Road prison on 15th January 1943, Steele re-joined the Northern Command staff as Adjutant and took over the role of O/C Belfast from Rory Maguire (Maguire’s brother, Ned, had escaped with Steele). He remained O/C Belfast when he took over as IRA Adjutant General after Liam Burke’s arrest. Following Jimmy Steele’s arrest in May, Seamus ‘Rocky’ Burns took over as O/C Belfast. Burns had been imprisoned as a 17 year old in 1938, interned in 1939. He took part in the mutiny in Derry jail and was moved to Crumlin Road prison, only to be returned to Derry from where he escaped with 20 others through a tunnel in March 1943. Recaptured in Donegal, he was interned in the Curragh. Harry White had Burns resign from the IRA, sign out of the Curragh, then rejoin the IRA and return north (when he took over as O/C Belfast). He was shot trying to escape from RUC officers in Chapel Lane in February 1944 and died the next day. In February 1944, Harry White apparently took over as O/C Belfast after Burns’ death. He was also on the run continuously. He seems to have taken on the role of O/C Belfast for much of the time and also delegated it to others. By April 1944, Harry White went underground to Altaghoney in County Derry seemingly leaving O’Rawe as O/C Belfast. In his memoir, Harry, Harry White implies that he and O’Rawe may have alternated in the role of O/C Belfast. When Harry O’Rawe was arrested in March 1945, it seems likely Johnny Murphy took over as O/C Belfast. Murphy was one of a number of I.R.A. volunteers that were induced to sign out of internment by Harry White. White himself had resigned from the I.R.A. then signed out of internment in the Curragh and then was reinstated in the I.R.A.. He later got others to do the same to replenish the Belfast Battalion staff. An organiser sent by the I.R.A. in Dublin, Gerry McCarthy, visited Belfast in April 1945 and that may have prompted the reorganisation of the various roles. In reality the identities of the O/C Belfast after Rocky Burns’ death are repeatedly unclear. A profile of Seamus Twomey (in The Irish Press on 15th July 1972) states that he was O/C Belfast in 1945. As he was only released from internment in the summer of that year, if this is true, it would have to be in the latter half of the year. Since arrests tended to be the catalyst that lead to a changes in O/C, it is possible that Twomey took over in October 1946 and Murphy replaced White as O/C Northern Command. Richard English names McCallum as O/C when Des O’Hagan joined the IRA in 1949. 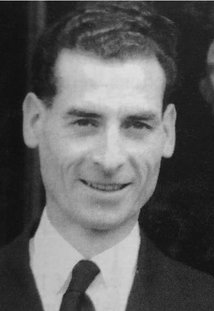 Frank McKearney had taken over as O/C when Joe Cahill was released in November 1949, by which date McCallum may have moved to Liverpool (where he became O/C of the an I.R.A. unit). As noted above, it is not always clear who was in charge of what was left of the Belfast IRA between early 1944 and 1949, so the date that McCallum took on the role is unknown. By the late 1940s, Frank McKearney had taken over as O/C Belfast. He had received a six year term for possession of a revolver in 1939. He appears to have taken over as O/C during 1949, at least until the release of Jimmy Steele in 1950. 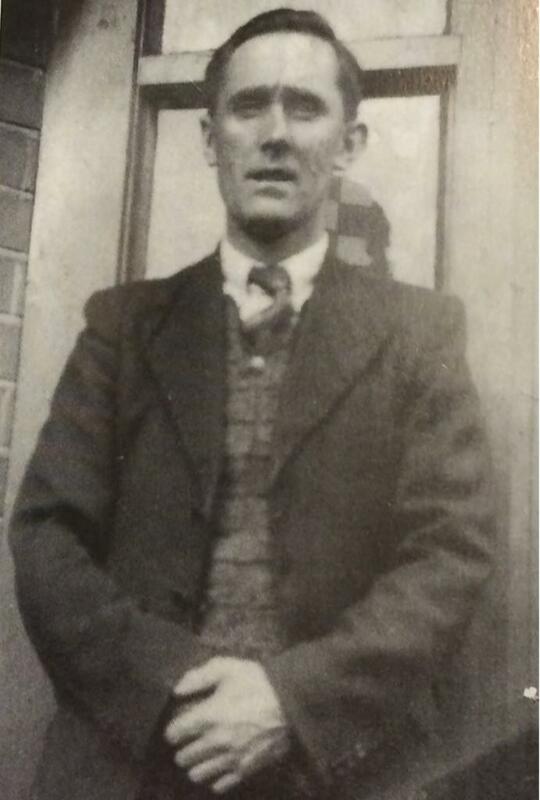 On release from Crumlin Road in 1950, Jimmy Steele again returned to active service with the IRA and once more took over as O/C Belfast while remaining prominent in other organisations such as the National Graves Association and also Sinn Féin. Stayed as O/C until 1956, when he stepped down (Steele was to remain an active republican until his death in 1970). Took over as O/C in Belfast in preparation for the coming campaign in December, dubbed Operation Harvest. Doyle was highly thought of at GHQ but, due to suspicions about an informer, did not disclose planned operations in Belfast to his own Belfast staff. Doyle spent his time in Crumlin Road completing his education, later qualifying as an accountant, and didn’t get involved in republican activities again on his release. 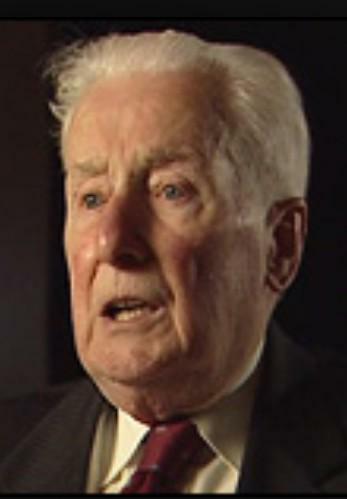 Cahill, who had a death sentence commuted in 1942, had been released in 1949 from Crumlin Road. 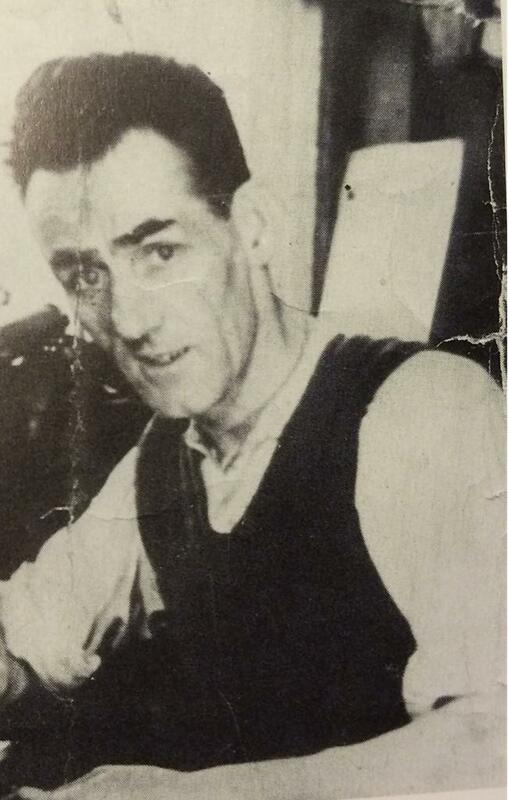 He took over from Paddy Doyle on his arrest in December 1956 until Cahill himself was interned in July 1957. 1957-60 There is a gap in available information from mid-1957 until about 1960. Jimmy Steele may have taken over again from Cahill until his own internment that summer. On his release from internment in 1961, Billy McKee took on the role of O/C Belfast re-building the battalion effectively from scratch. He had been imprisoned in the 1930s and 1940s and was to remain active in republican circles ever afterwards. During the Wolfe Tone commemorations of 1963 he got involved in a dispute with Billy McMillen, eventually resigned first as O/C Belfast and then from the IRA. Following the argument over the Wolfe Tone commemorations in June 1963, McMillen took over as O/C Belfast. Having earlier been associated with unofficial bombings in 1950, McMillen had left the IRA in the mid-1950s following an argument and linked up with Saor Uladh. After his release from internment in 1961, he first went to England then returned to Belfast and rejoined the IRA. He remained O/C through the 1960s and was interned just before the pogrom in mid-August 1969. When McMillen was interned from mid-August to late September, Sullivan acted as O/C Belfast in his place. He was imprisoned for a number of brief periods, such as 1966, when he was presumably replaced by an acting O/C by the likes of Jim Sullivan, who was his Adjutant. As part of the fallout over the failure of the Belfast IRA to adequately prepare to defend areas during the pogrom, on release from internment McMillen called a Battalion staff meeting to seek confirmation that he would continue as O/C. 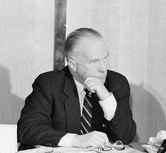 When he was forced to restructure his staff, he was also asked to withdraw supports for Cathal Goulding as Chief of Staff on 22nd September 1969. Thanks to all those who have supplied further information, photographs etc. You can read more about the Belfast IRA in the new book. Belfast and Nineteen Sixteen book relaunched by National Graves Association, Belfast. 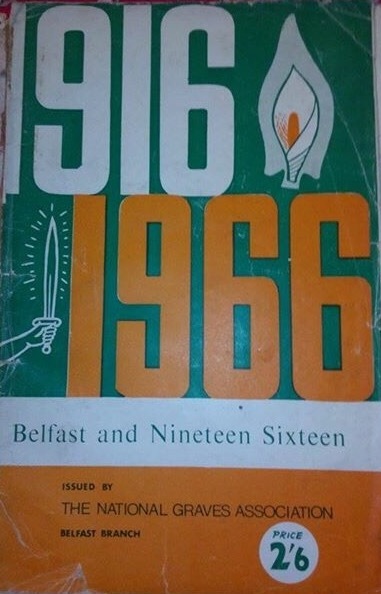 The National Graves Association Belfast are relaunching ‘Belfast and Nineteen Sixteen’ the booklet produced to mark the fiftieth anniversary of the Easter Rising. The original 1966 book has been reprinted along with a new cover and introduction. The booklet was originally produced (along with Antrim’s Patriot Dead) to raise funds on behalf of the National Graves Association in Belfast and defray the cost of erecting the County Antrim Memorial on the Tom Williams plot in Milltown Cemetery. Both were edited by Jimmy Steele, who had previously edited a number of versions of what is now Belfast Graves, a compendium of biographies of republicans who had died while actively involved in various campaigns. Funds from sales we go towards ongoing work on the Belfast National Graves Association. I have written about Belfast and Nineteen Sixteen and Antrim’s Patriot Dead previously. You can view the whole book here: Belfast and Nineteen Sixteen (or get a preview below, to whet your appetite). I don’t have a link for buying it online as yet, but I’ll update this as soon as I get one. In the meantime you can contact the National Graves Association in Belfast via their Facebook page. While I read a lot of text online, I still prefer the tactile experience of an actual book to a back-lit digital page. And although I order books online, I’d rather buy them in bookshops where I can, so when I have a nosey at what is in stock it is usually with an eye on whether I am going to buy it. By now, I’ve accumulated a reasonable enough library of books on Irish history and politics. I even have Sean O’Callaghan’s book on James Connolly (although I didn’t actually buy it, it was a present from my brother Michael – I suspect he doesn’t particularly like me). So, before buying it, I’d had a flick through O’Doherty’s biography. O’Doherty is a veteran journalist who has published various books on the conflict in the north and whose opinion of republicans, in particular, is fairly well established. So I didn’t expect many surprises in the narrative arc of a biography of Adams. What caught my eye a few pages into the book was a reference to Jimmy Steele leading the Campbell College raid of 1935. The passage acts as a bit of scene setting where the context of the IRA in late 1960s is contrasted with that of the 1930s (as a critical backdrop to the events of 1969 and increase in intensity of the conflict after August that year). This is illustrated with the example of a 1960s OTC cadet taking a bus along the Falls Road with a .303 Lee Enfield and a box of bullets to do some target practice in the countryside without fear of anyone (particularly the IRA) taking an unhealthy interest in making him part company with either the rifle or ammunition. The first thing that struck me is that same thing probably happened in the 1930s, so the intended contrast is pretty much an illusion. There were no contemporary incidents or anything to suggest that an OTC cadet wouldn’t have done exactly the same thing in the 1930s without much fear of having his rifle and ammunition snatched from him. In many respects the IRA’s interest in Campbell College was a response to the widespread attacks by unionists on Catholics in various districts of Belfast in the summer of 1935 (rifles were repeatedly shown to be a much superior weapon at keeping crowds out of districts where they intended to inflict destruction). For someone who has repeatedly written on this sort of topic, O’Doherty seems to evidence an inordinately weak appreciation of the context here. The second thing that then struck me was that Jimmy Steele didn’t lead the Campbell College raid. At the time he was Belfast Battalion Adjutant, while Tony Lavery was Battalion O/C. As Adjutant, Steele supplied a report on the raid to IRA GHQ which was captured in Crown Entry and the text quoted at length in the press. He and Lavery had went up to Campbell College in person to call off the raid when it was clear there were problems, but neither could be described as having led the raid itself. The source for Jimmy Steele leading the raid is Wikipedia, by the way. There is no citation given on Wikipedia for where that information came from but at some point in the future someone will probably try and be helpful and reference it back to O’Doherty’s book. In the grand scheme of things, that’s pedantic, I know. And I’m sure the obvious retort would be that the corrections are irrelevant as the general sentiment and emotional framing of events in Belfast in 1969 is more important than the finer points of who did what. But therein lies the problem with O’Doherty’s book. So much of the output on the recent conflict in the north mistakes opinion and propaganda for truths or verifiable facts. History, and biographies, to be considered as such, should, at an absolute minimum, be about detail and accuracy. Ultimately, it isn’t the detail that is irrelevant, it is the opinion. And if the detail has to be corrected, what value is the opinion? So marks out of five??? I didn’t even buy the book. Early in the morning of 2nd September, 1942, seventy five years ago, prison staff moved a cupboard aside in Tom Williams’ cell in C Wing of the Belfast Prison, on the Crumlin Road. It revealed a door that led into the execution chamber. Williams was led into the chamber where he was hung at 8 am. Visitors to the prison today can visit the cell and are walked through the same doorway into the execution chamber. However, even after his execution, Williams remains were effectively imprisoned in Crumlin Road for nearly sixty years until his reburial in 2000. 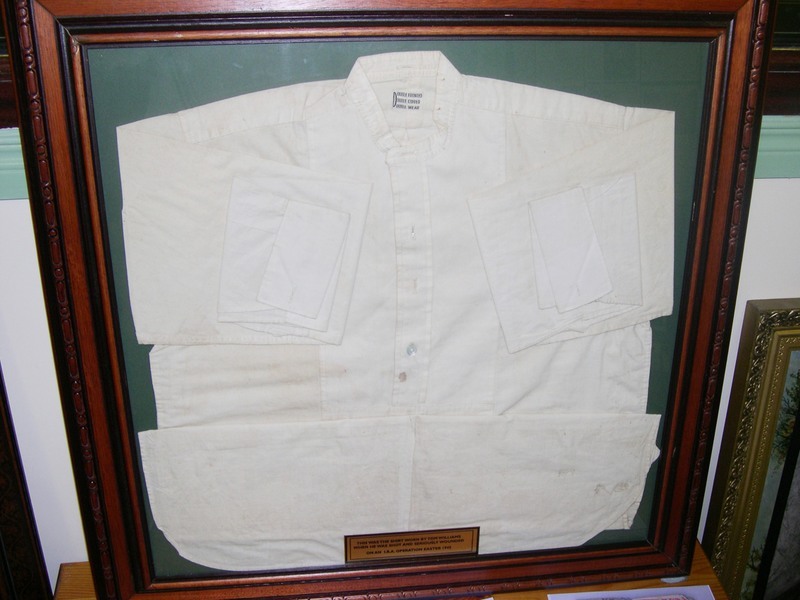 Shirt in which Tom Williams was executed (in Republican Museum, Conway Mill). Williams was executed as a reprisal for the death of an RUC Constable, Patrick Murphy, in April that year in Cawnpore Street (you can read the full story in Jim McVeigh‘s Execution: Tom Williams). Williams and Murphy were two of a handful of fatalities during the low intensity conflict between the IRA and northern government between 1938 and 1944. This included four other RUC officers, a prison warder and three IRA volunteers (a greater number died from the poor conditions in the prisons over the same period). Only a matter of days before the execution Williams five co-accused had saw their own death sentences commuted. But a broad-based reprieve campaign (in the south) for Williams fell on deaf ears. The day of the execution was fairly chaotic. Crowds of nationalists who had gathered to pray for Williams outside the prison were jeered by unionists who sang songs and taunted them. A subsequent protest march into the city centre after the execution had led to small disturbances but these paled into significance alongside the trouble that followed a large scale swoop by the armed forces of the northern government. Large numbers of Catholics were detained, many eventually served internment notices (having no charges proferred against them). The subsequent violence and, weeks later, a number of reprisals for Williams execution led to a protracted curfew in the Falls. There were over one hundred sentenced republican prisoners in Crumlin Road at the time of Williams’ execution and several hundred internees. They fasted on the day of Williams’ execution. Mass was to be said at 8 am and the chaplain had arranged to time a key point in the service, when he was to raise the communion host, would coincide with the exact time of Williams execution. The resonance of the symbolism of sacrifice in Catholic theology was easily understood and it broke up many of those present. One of those present, Jimmy Steele, later published a poem called ‘The Soldier’ which was dedicated to Williams. Either Steele or another sentenced prisoner who was in A wing the morning of the execution, Arthur Corr, wrote a song called ‘Tom Williams’ (early versions of it in print appear anonymously and neither were later credited with song). It was published in the Belfast IRA newspaper, Resurgent Ulster, in 1954. Steele edited the paper and usually included his own poems without any credit. Jimmy Roe, though, believed Corr, a noted singer but not known as a songwriter, composed the song. It has been subsequently recorded by various people without assigning credit to either. I’ve linked a version recorded here by the great Eamon Largey who knew both Steele and Corr and would have learned it from them (it is uncredited on the Flying Column album ‘Folk Time in Ireland‘). I have also reprinted it in full below. Whether it was Corr or Steele (both of whom came from North Queen Street), when hearing the opening lines “Time must pass as years roll by, But in memory I shall keep, Of a night in Belfast Prison, Unshamefully I saw men weep…” it should be born in mind that both were present in A wing and in the prison chapel at the time of the execution. Unshamefully I saw men weep. Answered proudly to her call. Brave Tom Williams we salute you. We vow to make them all regret. By a lad who lies within a prison grave.